Seattle is still reeling from a Wednesday evening boat collision resulting in the death of an area middle school biology teacher - identified as 33-year-old Melissa Protz - and the serious hospitalization of two other injured victims. 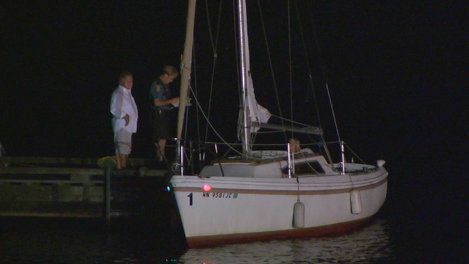 The collision occurred after a power boat smashed into a sailboat on Lake Washington. Full details behind the destruction have not emerged, but Police are investigating alcohol impairment on the part of the speedboat’s pilot. If you are in a motor-powered craft, assume sailboats and rowboats have the right of way. On the water that means they aren’t expected to alter their course. If you don’t have the right of way then you’re expected to alter your course. Confusion over this issue can lead to serious injuries, including traumatic brain injuries and other sorts of vehicular accidents. All swimmers must be within 50 feet of the shore or docks (unless escorted by a boat). According to the CDC, a person drowns almost every day in the United States while boating. If you discount boating, the number skyrockets to 10 drowning deaths per day. Non-fatal drownings are one of the leading causes of brain trauma and other serious brain injuries. Alcohol is linked to 60% of boating collisions and substantially reduces the chances of rescue in a drowning situation. Seattle marine law enforcement uses the VHF Radio Marine Channel 16 for emergency purposes. “Mayday” is the term used to indicate that a ship is in immediate danger. It comes from the French term, “m’aider,” which means “help me.” It’s a criminal offense to make a false distress call. Stolen boat equipment will usually surface again in second-hand stores. This sort of hot merchandise has a clear purpose and probably won’t be relegated to a new part of the country to be sold for Craigslist prices. Our heartfelt condolences go out to the victims of this tragic crash. According to a news article published by KOMO News, a prayer vigil is being planned in Protz's memory at Assumption St. Bridget Catholic School, where she worked as a teacher.